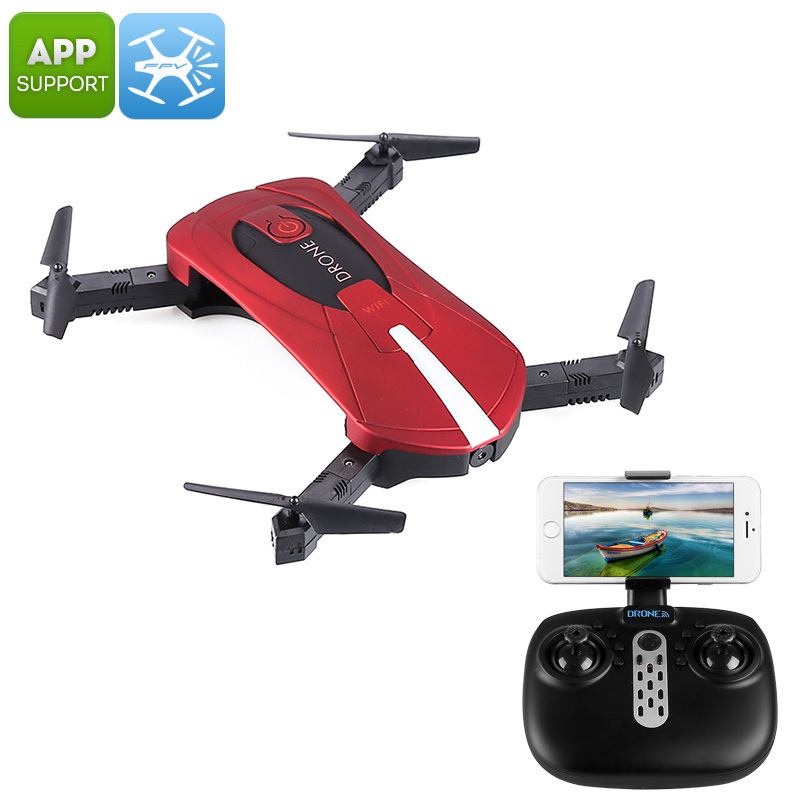 Successfully Added JY018 Folding Drone - WiFi Camera, App Support, FPV, G-Sensor, Headless Flying, 500mAh, 100m Control Distance (Red) to your Shopping Cart. If you’re looking for a small high-end pocket drone, the JY018 Folding Drone is certainly is a gizmo to consider. This beautiful mini drone is extremely light in weight and small in size, making it easy to carry around. It comes with a 500mAh battery for 8 minutes of flight time. The drone itself is easy to control through the 2.4GHz remote control or smartphone application. This makes it a great Quad-Copter for beginning pilots. With its different flying modes, this mini-drone is sure to meet all your demands. It even is capable of performing 3D flips to take your drone experience to the next level. With its 6 axis gyro, the JY018 Folding Drone treats you to a stable in-flight experience. It supports a 100m control distance as well as air pressure altitude hold. Thanks to an intergraded camera, you’ll be able to shoot pictures and 480p video of all your upcoming drone adventures. You’ll even be treated to FPV support which will take your drone experience to the next level. If you’re looking for an affordable yet high-end drone to conquer the skies, the JY018 Folding Drone is perfect for you. The JY018 Folding Drone comes with a 12 months warranty, brought to you by the leader in electronic devices as well as wholesale quad-copters..